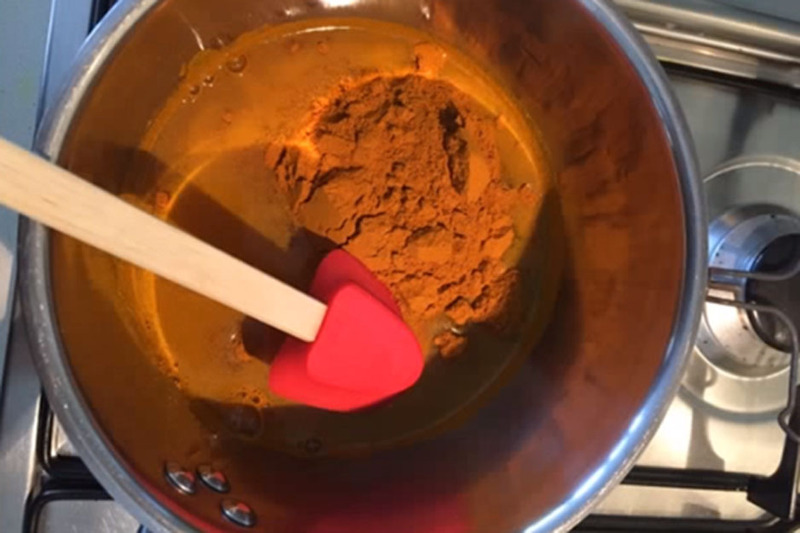 Mix the water and turmeric powder in a small pot and slowly increase heat. Stir for 10 minutes until it thickens. Add black pepper and oil and continue to mix until all constituents are well mixed. The black pepper is especially important because it helps make the turmeric bioavailable to our bodies. It lets the body use curcumin, found in turmeric, 2000% more effectively. Most people add golden paste to their diet as opposed to taking it like a meditation. It can be mixed with a small amount of honey to make it sweeter and goes well in rice, soup, smoothies, curries, and salads. You can experiment with it a little bit. We recommend about one tablespoon 3 times a day.